Posted by Malene Charlotte Larsen in Aalborg University. Today I moved into a new office a the University. The office is a one-man office, which will be quite a change as I am used to sitting in a five-man open office space. However, I am excited to have my own office and I think that the peace and quite will be an advantage when I start writing my dissertation (which I plan to start doing after this semester). 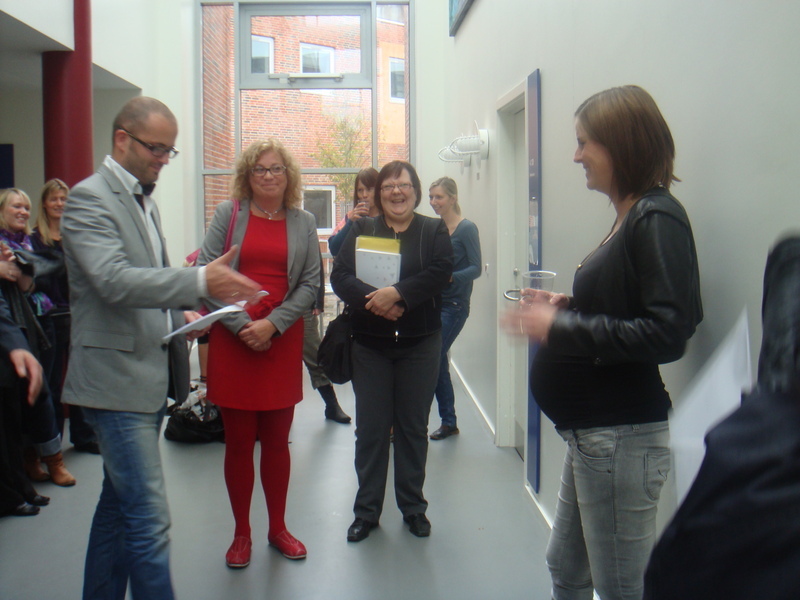 Posted by Malene Charlotte Larsen in Aalborg University, Academic, Examination. As some of you might know, the students at Aalborg University are studying under what is called “The Aalborg Model”, which means that they do problem oriented project work in groups. Therefore, they hand in a rather huge (usually 100-120 pages) project report each semester dealing with an open-ended problem of their own choosing. Formerly, each group would defend their project during a group exam lasting approxemately two or three hours. This semester, however, we were not allowed to conduct the group exams due to a resolution carried out by the government saying that group exams are not allowed at the Danish universities; the students have to sit for an examination individually. Therefore, our students studying under “The Aalborg Model” are forced to defend their joint projects during an individual exam. Because of that, my January has been more than usually busy. I just counted that I have held 32 individual oral exams this past weeks (in stead of eight group exams as it would have been in the good old days). Even though all the exams went really well and the students had produced some interesting projects, I cannot help but feel that it is a real pity that they cannot defend them together. Not only is it more time consuming for me as the examiner to prepare 32 different individual 30 minute-exams rather than eight group exams, but it is also a shame that the great discussions and the high level of abstraction, that usually are part of a group exam, now disappear. Well, I just wanted to let you know why I have been so absent on the blog lately – and tell you that now the exam rush is over I will be blogging about the many interesting upcoming activities I am attending – e.g. a PhD course next week, a trip to Berlin and Safer Internet Day 2008 on February 12. 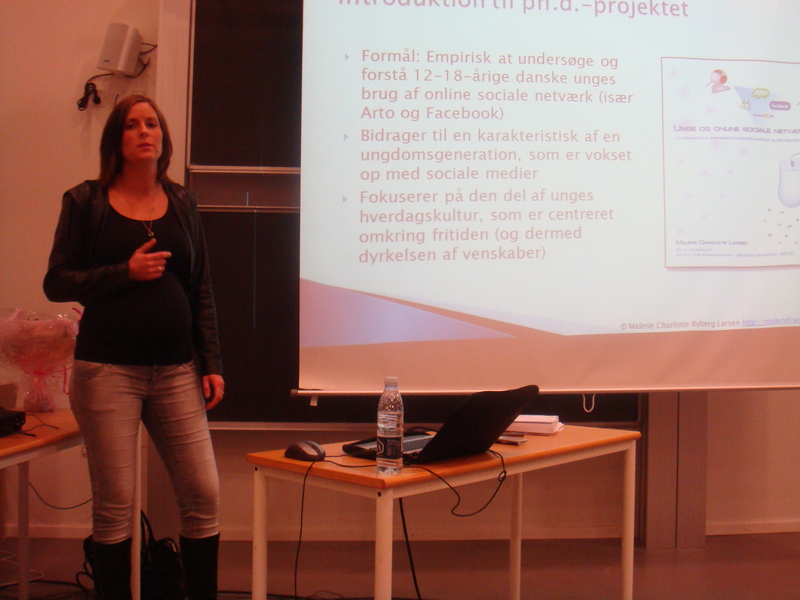 Posted by Malene Charlotte Larsen in Aalborg University, Contact. Please notice that I have a new office phone number. See contact info. Another colleague of mine, Marianne Georgsen from e-Learning Lab, is defending her PhD thesis this week. This will take place Wednesday at the Department of Education, Learning and Philosophy. brugerne tager i anvendelse for at kunne samarbejde i virtuelle omgivelser. Read the whole summery or see the invitation.